Why only Krishna? Why only “Hare Krishna”? Are you saying that chants to Kali, Ganesha, and others don’t do anything? That only the Maha Mantra is effective? Where is the Hocus-Pocus Mojo? 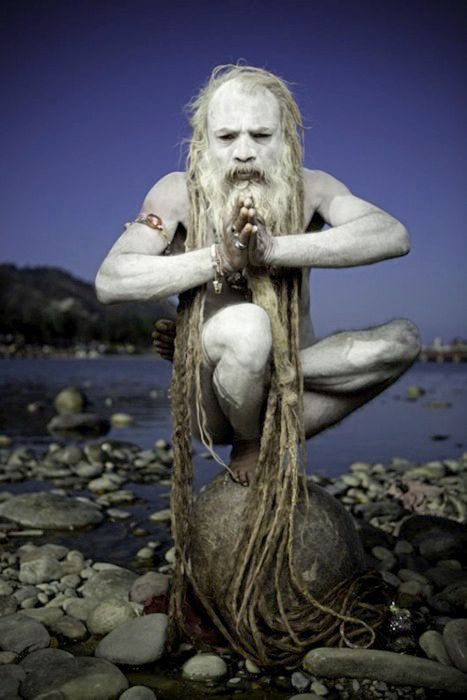 Mystic power is conspicuously lacking in the current era of human history. [If it ever actually existed is another valid question, but nonetheless…] Rituals and mantras are not, therefore, powerful in and of themselves. Only the most direct, real, simple, and pure spiritual paths are honestly and sublimely effective in the modern era. Directly opening the heart to the infinite power of divine love – that is the only remaining option in this age. It is always the best option, in any age. But in this age it is also the only option. Other methods do produce results, but they cannot deliver the soul from the cycle of suffering, samsara. They will produce success, health, peace of mind, maybe some magic powers, etc. to some limited extent. Only the mahamantra (the “Hare Krishna” mantra) delivers us entirely from our problems by granting nirvana and beyond. These sixteen words destroy the evils of Kali-yuga. No better means is to be found in all the Vedas. This is not a claim that the mahamantra or other nama-mantras contain special “hocus-pocus” that has remained somehow effective in the modern era, while all other mantras have lost their mojo. There simply is no hocus pocus mojo in this age, except by smoke and mirrors. What these quotes actually mean is that the manamantra and similar nama-mantras are essential and instrumental in the process of opening the heart sincerely to divine, selfless love – which is the only effective means of gaining moksha in this age. Why Only Vishnu / Krishna? Why only for Vishnu, or Krishna? Why wouldn’t nama-mantras for Kali, Durga, Sarasvati, Ganesh, etc. also open up the heart to selfless divine love? On any spiritual path, it is only the component of divine love in it that is essential, everything else is just packaging. Then they ask him, “why only divine love for Vishnu avatars like Krishna? Why not other gods and goddesses?” Suta answers that Vishnu alone bestows true benefits, other gods bestow temporary benefits and then only by the power invested in them from Vishnu. In other words, Vishnu alone is essential, everything and every other god is circumstantial “packaging” of Vishnu’s energies. In the Gita, too (Seventh Chapter). Krishna says that he acts through the gods and goddesses to supply specific needs and help. Again, the point is not that other mantras don’t do something. The point is that they don’t do everything. They don’t give moksha (liberation from the cycle of birth and death) and beyond. It’s not that I wouldn’t use another mantra for some specific purpose. In fact I use and teach people to use many mantras from the Rg, Sama, Yajur and Atharva Veda as a part of my astrological practice. These mantras are effective for specific needs and problems, when chanted with the right attitude and understanding. It is not the hocus-pocus of the “magic words” that makes a mantra work. It is the condition it creates in the heart and mind which is the effective ingredient. Other mantras can create internal conditions that cause important changes in our lives, and can make us feel better – but only the mahamantra has the power to completely change us by saturating us in divine love and completely delivering us from samsara, rooted in selfish, unloving ego. So I would not disrespect any mantra, or any divinity. Suta says that the Vishnu-devotee worships/respects everyone and everything, including all the demigods – since Vishnu is the essential principle in everything – however they naturally reserve their special heartfelt devotion for Vishnu alone. Krishna is the original existence (“vishnu“), which exists only for the sake of JOY: Rasa. Krishna is the “akhila-rasamrita-murti”, he is the primeval personification of all ecstatic pleasures. Other gods simply are not. They fulfill a purpose. They protect us from harm, or destroy things, or maintain things, etc. etc. etc. They have so many tasks to perform. Krishna has no tasks. He simply enjoys existing in the fullest blossoming of divine love. We can certainly chant prayers and mantras to the other gods for specific purposes, but it is really Vishnu (which means, the divine existence) within those gods that fulfills our prayers and gives the results of our mantras. So it is smarter to put Vishnu in mind right from the beginning. But when it comes to divine love (prema), we simply cannot say that “divine love” for Kali or Ganesh or Siva is in the same ballpark as divine love for Krishna. Why? Because these other beings do not exist for the purpose of divine love. They exist to destroy things, protect things, etc. Krishna is the form of divinity that exists solely for the original purpose: enjoyment of love. Fanaticism is the Only Way? You are a Krishna devotee, so saying this is like Christians who say that the only way to salvation is to accept Jesus as your savior. There are many people who believe that way and they will support their beliefs with quotes from the Bible. If we say or hear these things through a fanatical bias, we will rob ourselves of the most precious and rare opportunity to attain the most fabulous wealth of divine love. We have to understand these things beyond quotes and sectarianism. This paradigm – that supreme love requires the supreme beloved – is logical independent of Scripture. Scripture also supports it fully. Not just one scripture here or there that was made to support it – but all scripture, from the Vedas to the Upanishads to the Puranas, and even scripture from international culture. Since it is the internal impression, not the mojo in the magic-words, that carries the effectiveness of a mantra, we cannot just mouth a mantra and consider that we have actually exercised it. We have to chant in a deep manner, free from superficial fanaticism and starry-eyed hocuspocus thralldom. It takes some practice to chant any mantra effectively. The mahamantra is simpler than other mantras, because it is about love and everyone is qualified to love. But still, from what I have observed, it generally take a few dozen years of sincere endeavor before we begin to truly chant the mahamantra in an effective manner: with true, humble love, and deep understanding of who we really are, who Krishna really is, and what everything else really is, too. With a heart that is hungry to give, give, give, give, give itself entirely in divine love to the divine beloved named by the mantra. What about Radha? Isn’t she all about love and devotion? I feel so much focus is placed on male figures: “God”, Jesus, Krishna, Buddha. I prefer to focus on the female- Divine Mother. 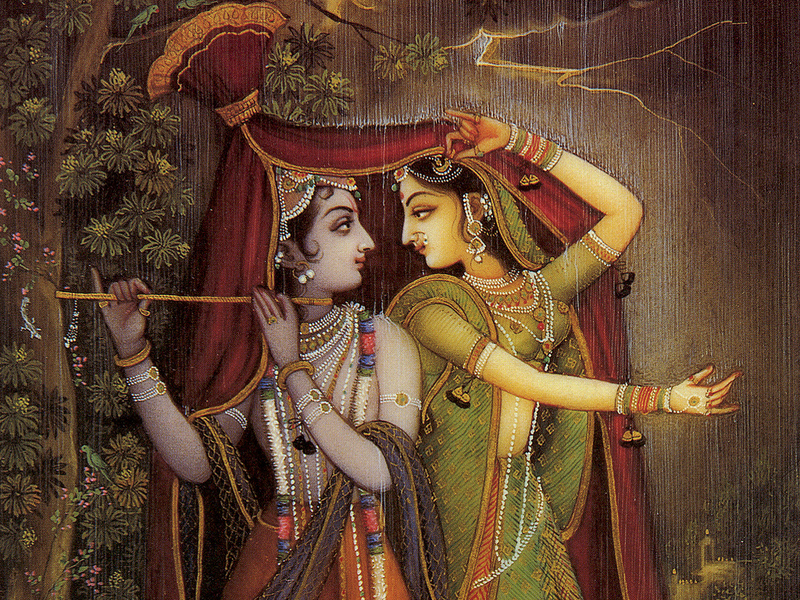 There is no Krishna without Radha, because there is no Supreme Divine Beloved unless there is a Supreme Divine Lover. To really chant the mahamantra effectively we have to understand this. It is a big part of what it means to understand who Krishna really is. The mahamantra, as explained to me through the dear gurus who have given it to me, identifies “Hare” as a conjugation of the word “Hara”, not “Hari”. Hara is shakti. In other words the “Hare” in the “Hare Krishna” chant is Sri Radha. The mahamantra therefore has a perfect balance of male and female divinity. Actually this is rather important in a mantra that bestows divine love in a potentially intimate setting that even includes romantic and conjugal interactions with divinity. Previous What is Karma? What is Renunciation?